After another year of testing gear for The Great Outdoors here are my favourite items of 2017. As in previous years they don't necessarily replace old favourites and they're in no particular order. 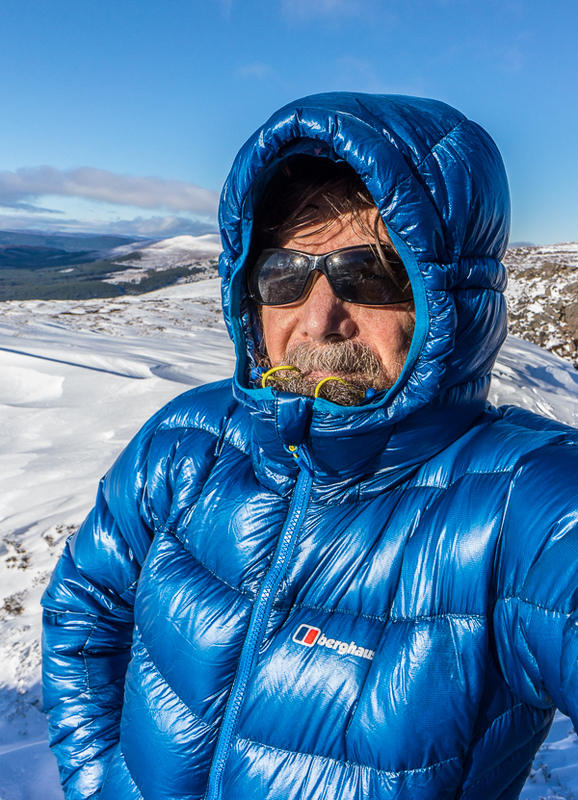 This is one of the warmest down jackets for the weight I've tried and easily adequate for the Scottish winter. The weight, size L, is just 473 grams. The design is good too with an excellent snug hood, useful pockets, and a longer length than many insulated jackets. 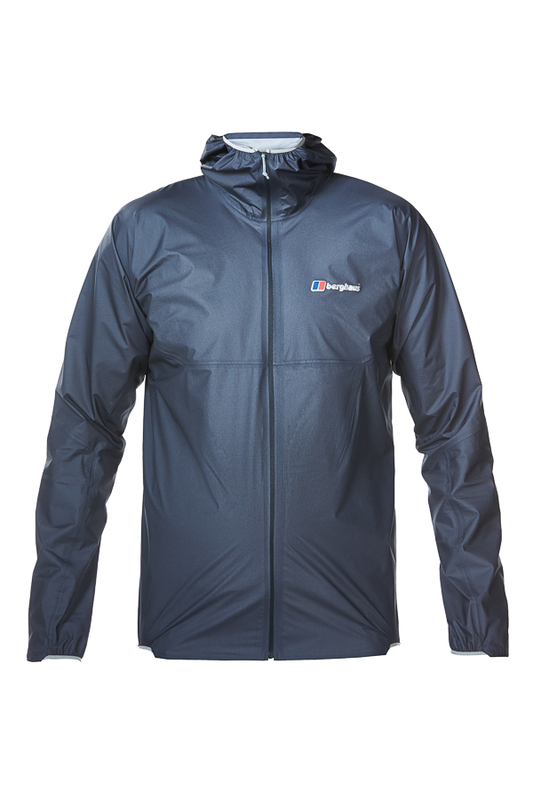 The down is hydrophobic and the thin outer fabric windproof and tough. Pacerpoles have been my favourite poles for many, many years as I find the shaped handles so comfortable and efficient. However I'd always wished for ones with external locks rather than internal twist ones as the latter can jam and slip. This year my wish came true with the Dual Lock poles. These are three-section carbon-fibre poles with an external lock on the top section and a locking pin for the lower sections. This means the length can easily be adjusted and I've found myself doing so more often than with the older design. At 590 grams they are slightly heavier than the carbon-fibre twist-lock Pacerpoles but I think the extra weight is worth it. Whilst I love ski touring I also appreciate snowshoes in deep soft snow and conditions where the snow is patchy and skis would have to keep coming off. 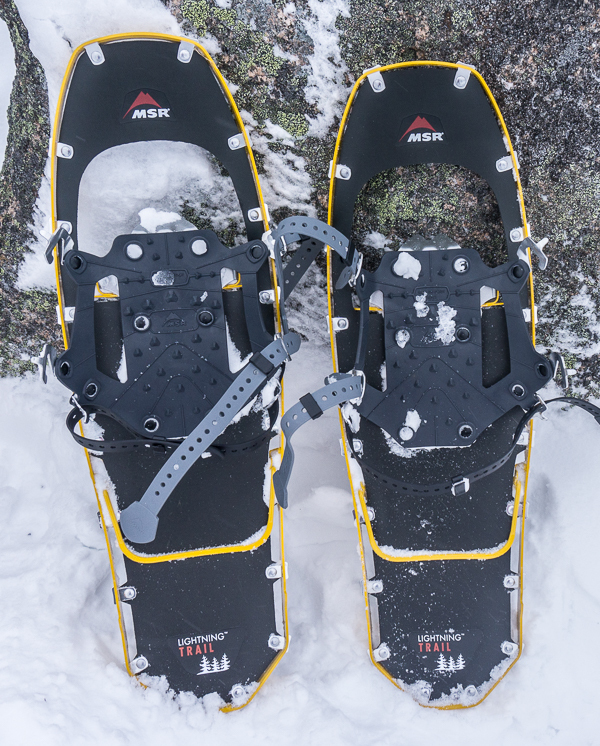 The latter was common in the Cairngorms last winter so these MSR snowshoes got plenty of use. At 1.63kg they're quite light for snowshoes, especially ones this tough and supportive. The bindings are easy to use with different boots. The frame is serrated underneath so it bites into hard snow and ice. There are heel lifts too for support on steep ascents. Overall I enjoyed using these snowshoes so much I was reluctant to go back to skis! This is an unusual garment, as the name suggests. It's a synthetic insulated top, filled with Polartec Alpha, but unlike other such tops it doesn't have a windproof shell. Instead the soft flexible outer is knitted polyester. And inside it's polyester mesh. The result is a very breathable top that makes an excellent midlayer and which is surprisingly warm for the weight (366 grams for the Large size). 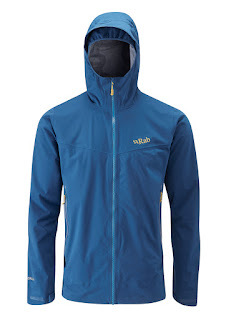 With no features bar a long front zip the Paradox Pull-On is essentially a hi-tech sweater. I find it very comfortable. A three-layer waterproof jacket with a membrane and extremely high breathability that only weights 100 grams sounds like every long distance hiker's dream. With the Hyper 100 it's a reality. This minimalist jacket weighs just 106 grams in the Large size and packs down to the size of an apple. There are no pockets and a basic hood but at this weight that's acceptable. It's not a jacket for regular wear or day walking but when weight really matters it's the one to choose. Weighing 760 grams and rated to -9C the Firelite is one of the lightest bags for the warmth Mountain Equipment has ever made. It has an ultralight thin shell, 469 grams of 800+ fill power down, elasticated top seams, and a long side zip. I find it very comfortable and it's kept me warm at -8C wearing just thin base layer top and bottoms. Rab calls this 'a super lightweight stretch softshell with high levels of breathability and waterproofing'. Functionally it's a soft, flexible, comfortable waterproof jacket with excellent breathability. 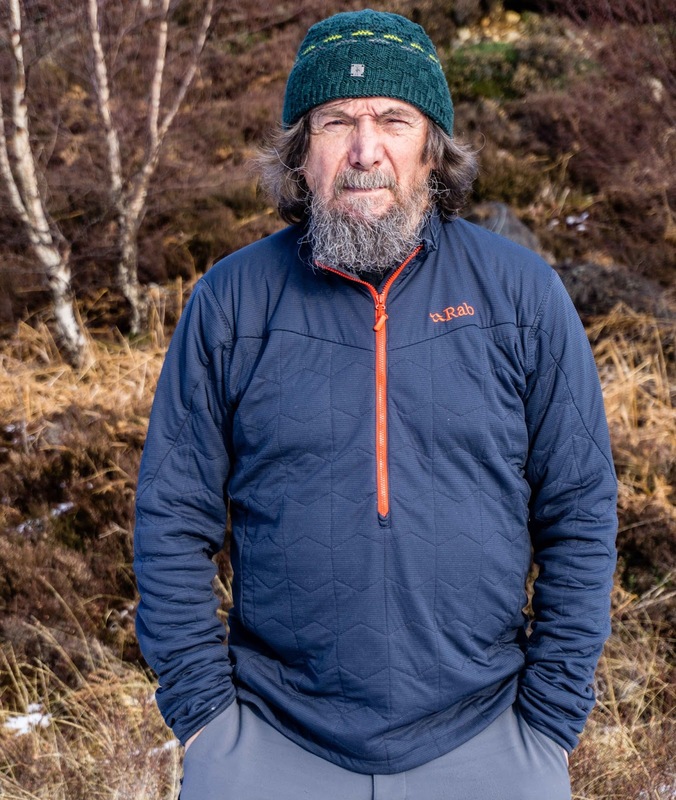 It's no warmer than other waterproof jackets of similar weight so it's not a softshell that adds a bit of warmth or which can be worn as a midlayer. 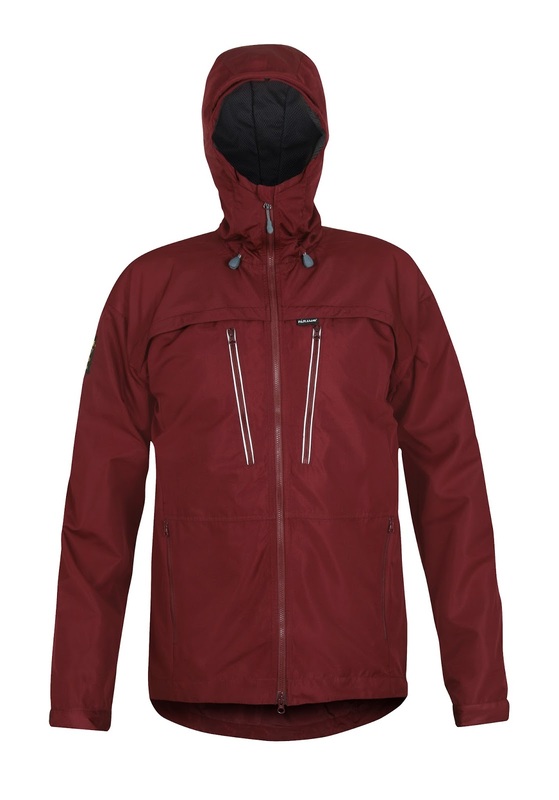 As a light three-season waterproof - the Large size weighs 298 grams - it's very good. I wear a windproof jacket more than any other garment. Ultralight minimalist ones are fine in summer but for much of the year I prefer something a bit more substantial and with more features. The Bentu jacket fits this exactly. It has an excellent wired hood, large chest pockets and a long length. The fabric is thicker than on many windproofs too. The Medium size weighs 425 grams, which is not too heavy to carry in the pack. 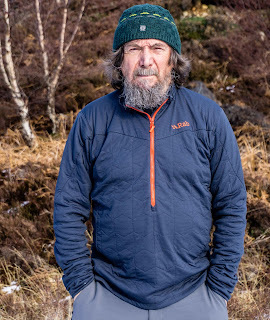 The hood and shoulders are lined with the same Pump Liner fabric used in Paramo waterproofs so the Bentu is more waterproof than most windproofs. Combined with the Bentu fleece it performs just like a Paramo waterproof. This combination is too warm for me outside of winter weather however. If any item astonished me this year it was this jacket. 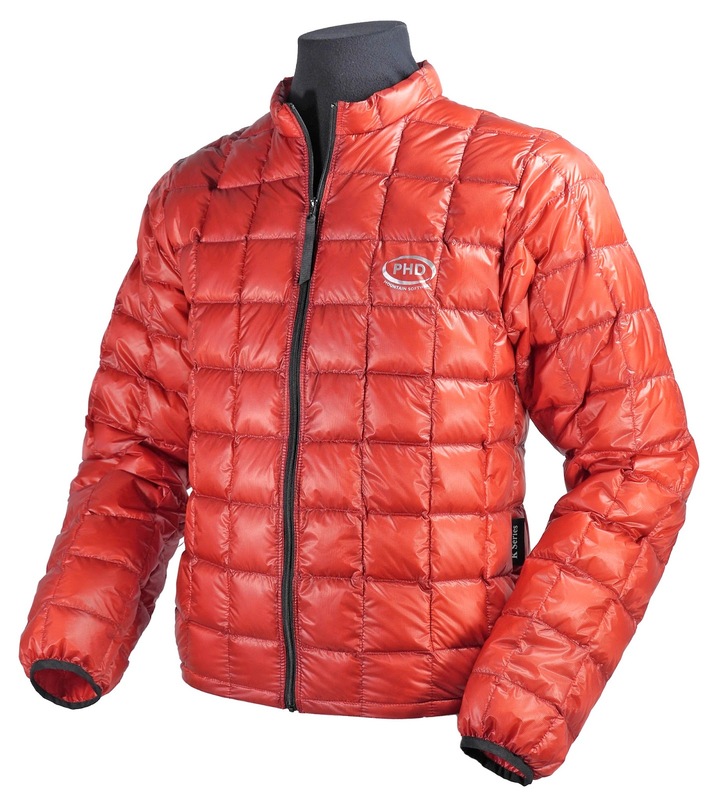 It weighs 131 grams - less than many base layers - yet is filled with down and as warm as a heavyweight fleece. To keep the weight down there are minimal features - no hood, no pockets - and an ultralight shell. The down is 1000+ fill power, which is as high as you can get. At this weight and tiny pack size (about that of a grapefruit) there's no reason to ever leave the Waferlite behind. Single-skin tents with sewn-in groundsheets and good storm protection generally suffer from bad condensation in humid conditions. That's not the case with the s20 Sigma which is made from a new fabric containing activated carbon that attracts moisture and absorbs so the surface feels dry. 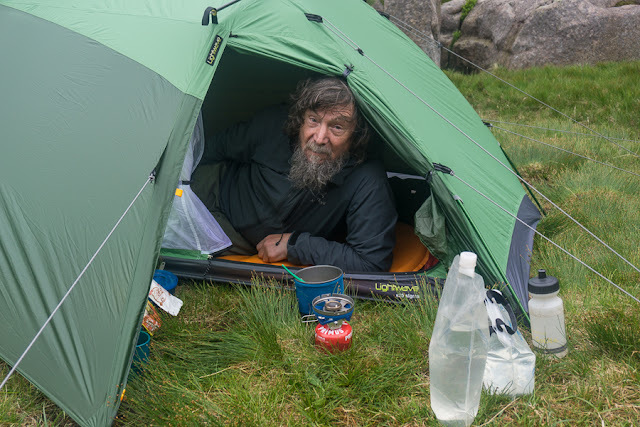 I've used the tent on several really wet nights with all doors closed and the walls have never felt wet. The design is a two pole dome with an extra transverse pole at one end. It's roomy - two could sleep in it - and stable. The weight is 1.72 grams. Packs that will handle 25kg loads comfortably usually weigh upwards of 2kg. The Patagon 68 is only 1.83kg and is comfortable with that weight. Both the thickly padded firm hipbelt and shoulder harness can be adjusted for length and the frame is supportive and helps transfer weight to the hips. The grippy lumbar is good for keeping the pack in place. There are plenty of roomy pockets including a big stretchy front one that will take a wet tent. A good heavy load carrier that's quite light. 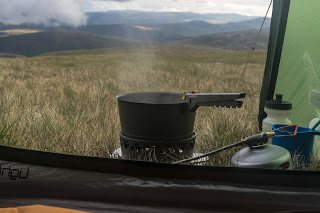 Primus's remote canister heat exchanger stoves have been favourites of mine for many years, especially for winter camping and snow melting as they burn hot and are very fuel efficient. 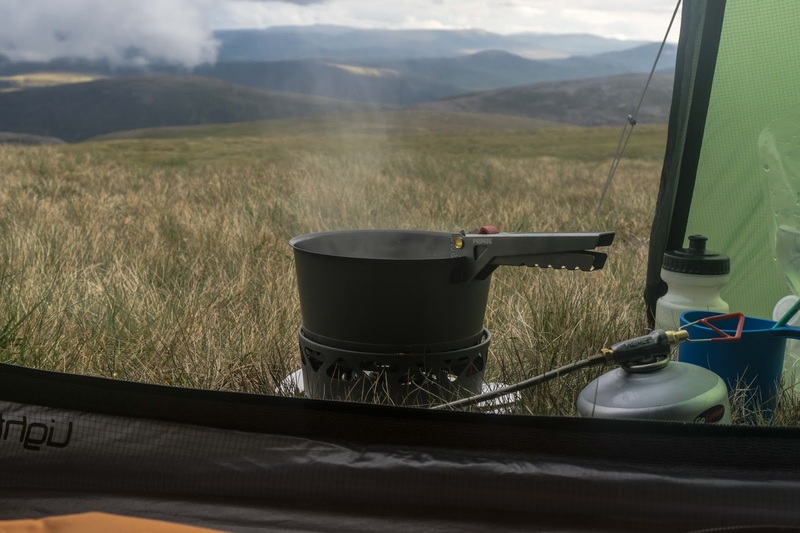 The PrimeTech Stove Set is the best version yet, with an integrated burner and windscreen for fast, easy setup and a low profile. The unit comes with two 1.3 litre pots, a strainer lid, a locking pot grip, Piezo lighter and storage bag/pot cosy. The total weight is 883 grams. 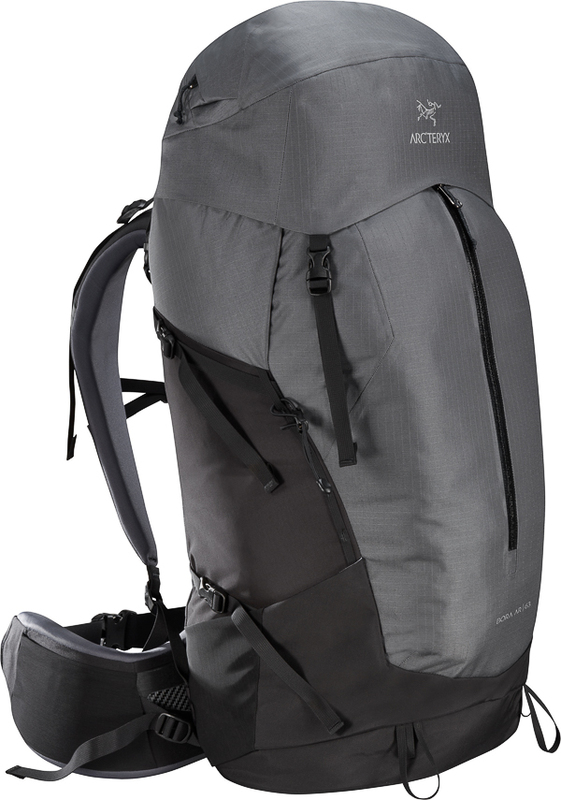 For really heavy loads (20kg+) this is a superb pack with some interesting features, especially the hipbelt. This rotates from side to side and slides up and down as you walk, meaning it moves with you, which is very comfortable. The shoulder straps can be adjusted up and down and side to side for a precise fit too and there is a really supportive rigid framesheet. The pack bag has ample pockets including a big front one. 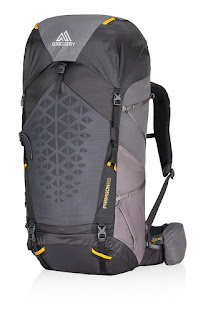 The weight is high at 2.365kg but for heavy loads this is one comfortable pack. This little headlamp replaces my long-time favourite, the Petzl Tikka XP. As it has better battery life and a brighter regulated beam I'm happy with this change. It's easy to use and runs off AAA batteries. 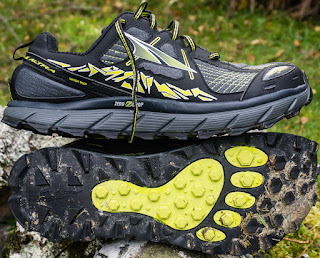 Last year I tried my first Altra shoes, the Lone Peak 2.0, and really liked them as the wide toebox fitted me well. 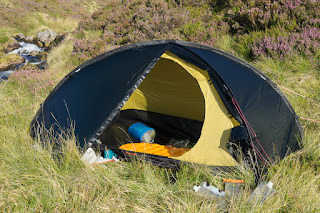 This year I've been using the Lone Peak 3.5 which I like even more as the sole unit is harder wearing. 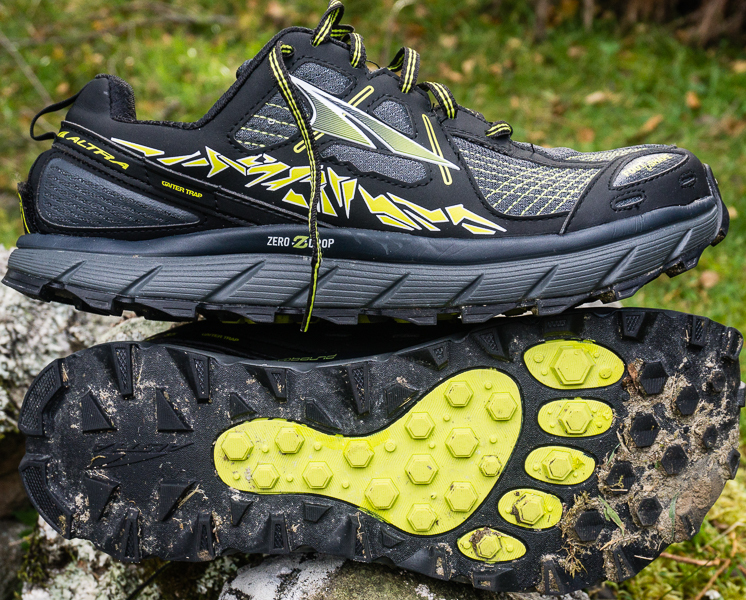 Currently these would be my choice for my next long-distance walk. 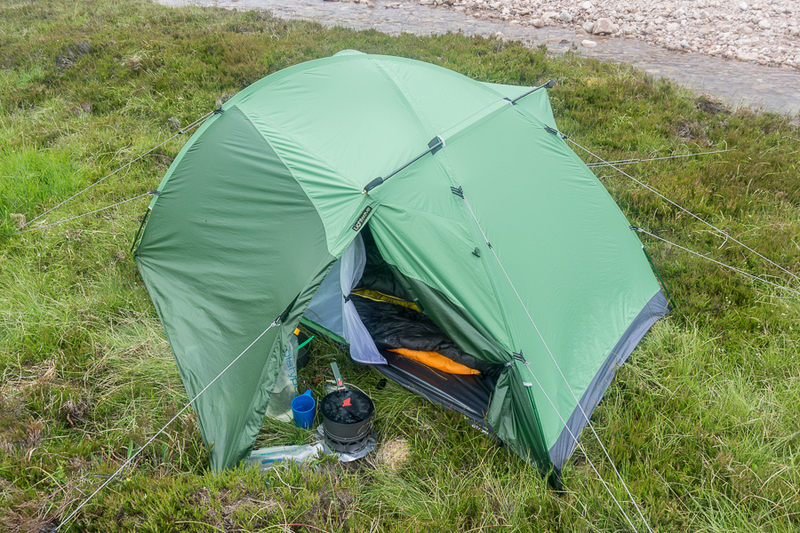 This simple two-hoop dome tent proved stable in strong winds and is very roomy with good headroom. 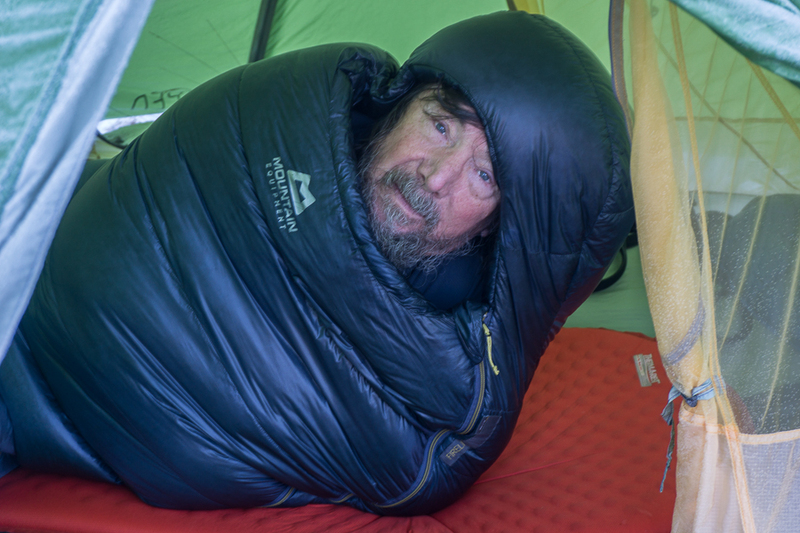 Hilleberg say it's a three-season tent. I reckon it's fine for all but heavy snowfall. It'll sleep two and it weighs 1.775kg. As usual with Hilleberg the quality is superb. 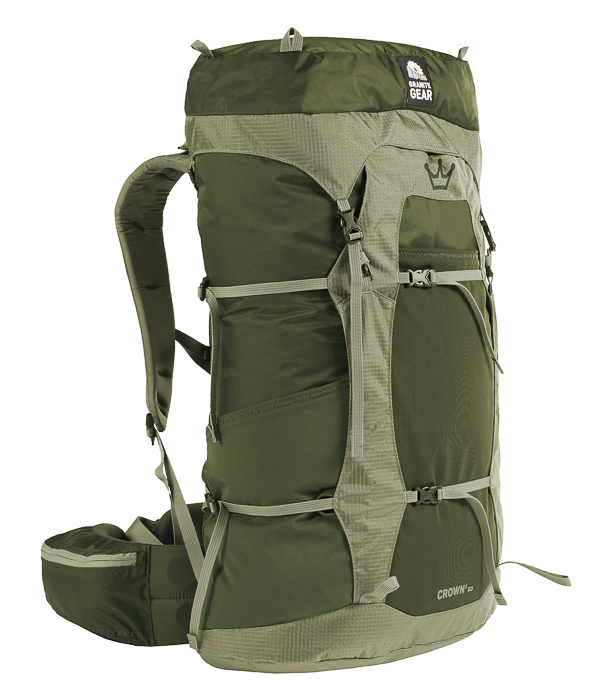 For loads up to 15kg the Crown 2 60 is an excellent pack with a weight of just 1.125kg. 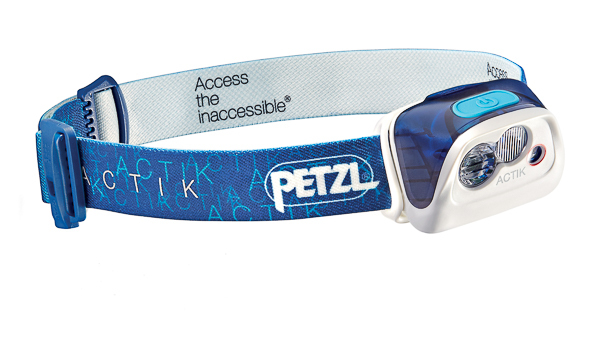 The frame is supportive and the hipbelt comfortable - the padded sections can be altered in length to fit your hips. There are plenty of pockets. A great choice for lightweight backpacking. 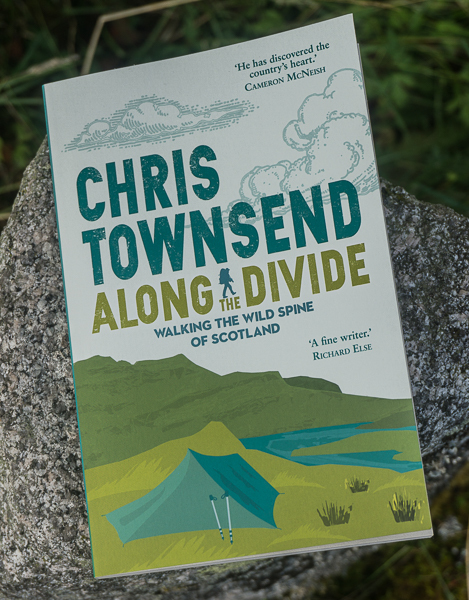 Perfect timing re the snowshoes Chris as I'm off to the Pyrenees unexpectedly in early January with 1m deep snow there. I've never snowshoed before, and only started looking them up on the internet last night. It was the MSR Lightning Ascent model you tested above that caught my eye. Do you think the 25" Lightning Ascent snowshoes would be a good choice? 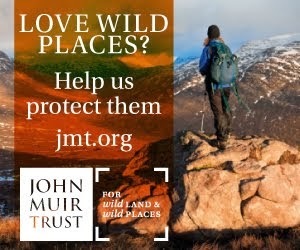 I am 5'9, weigh 10.5 stone, and would be carrying a 40lb pack (including camping gear/food) for trails such as the less challenging hills/valley based sections of the GR10, near Cauterets etc. 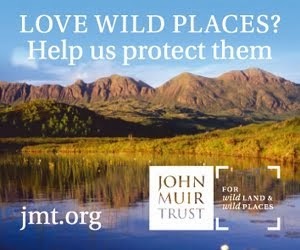 In future maybe more off trail, and hopefully trails in Scandanavia. The MSRs are not inexpensive but hopefully the sort of snowshoes that I won't outgrow. I've read on the internet that maybe go for smaller (22") shoes and add extension bars if necessary, but that they can affect balance which is less than ideal? My gut feeling is the 25's would maybe be a better all-round all in one purchase/compromise? Any advice would be much appreciated. And wishing you a happy new year! Hi Jay, it's the Lightning Trail I tested not the Lightning Ascent. The specs of the latter look good and I think either would be fine for your trip. I'd certainly go for 25" for deep snow. The Trails I have are 25" and I'd consider getting the extension tails for a trip in deep snow. Hope the Pyrenees weather is good. Happy New Year!